Montana is a breathtaking state riddled with nature that remains largely unspoiled. Crystal clear rivers, staggering vistas, and crisp mountain air make it a dream location for many outdoor enthusiasts. Fishermen are no different—they come from all over the world to fish Montana for premium trout. The Bighorn River is a pristine location for trout fishing. The river begins at Boysen Reservoir in Wyoming and winds its way down into Montana 150 miles downstream. From the river, you can see the Pryor and Bighorn mountains rise up to the south and west to create gorgeous panoramas. Many fish this river year-round, and it’s not a bad idea to pack your gear in a waterproof duffel bag, as the rocks here are notorious for their slippery texture created by moss. The Bighorn River is a destination for some of the best trout fishing in the U.S. Fish in this river are consistently large and average around 15 inches for a brown trout and 16 inches for rainbow. It’s estimated that the fish population in the area is between 3,000-5,000 fish per mile. This river features consistent fishing conditions and a steady flow due to the dam that regulates river flow. Dry: Midges (dark), sizes 16-22 or as small as can be managed, work well as midge hatches occur at any time of the year. Wet: Numerous nymph patterns will take fish. Scud (freshwater shrimp), San Juan Worm, Hares Ear, Muddler Minnows, Pheasant Tail Nymph, and the Zug Bug work well. Fly fishing is high-quality here year-round, so pack your long sleeve fishing shirts and layer for warmth to enjoy winter fishing at this gorgeous spot. 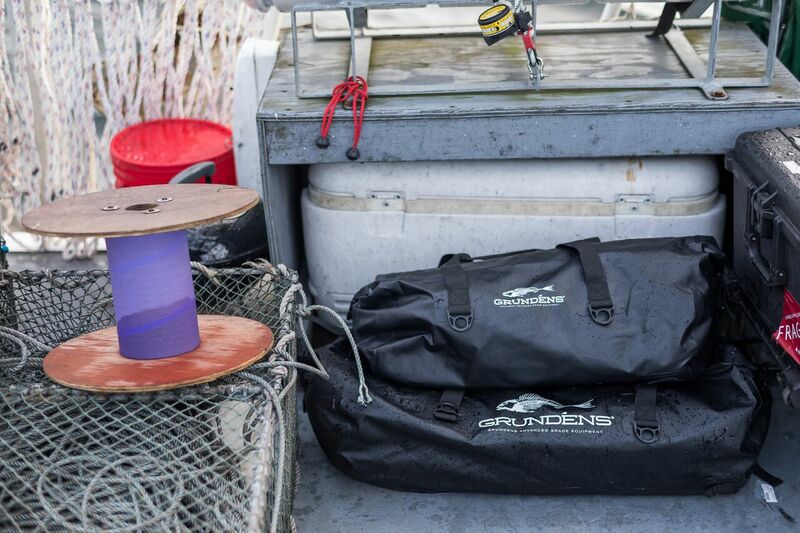 Grundéns provides the highest quality fishing gear to commercial fishermen and anglers worldwide. They have a passion for fishing and it shows. Their clothing will keep you fully outfitted for any fishing adventure. Designed to keep your focus on the fish, their fishing shirts, bibs, jackets, and other gear will keep you on the water longer. To fish your best, you need your mind on the water, not your clothing. Fishing apparel stands apart because it is engineered by fishermen, for fishermen. They understand your movements and the elements and create clothing that seamlessly integrates into your fishing style. Instead of focusing on your clothing, deck yourself out in fishing shirts and pants and spend your free time designing your perfect fishing story. Don’t get hung up while casting. Fishing apparel is engineered for its flexibility and won’t hinder your movements, especially while casting. Look for garments crafted from stretchy material that gives, most importantly in the midsection, shoulders, and arms. You don’t want to spend your day applying sunblock every two hours, and you certainly don’t want to suffer for days with a brutal sunburn. 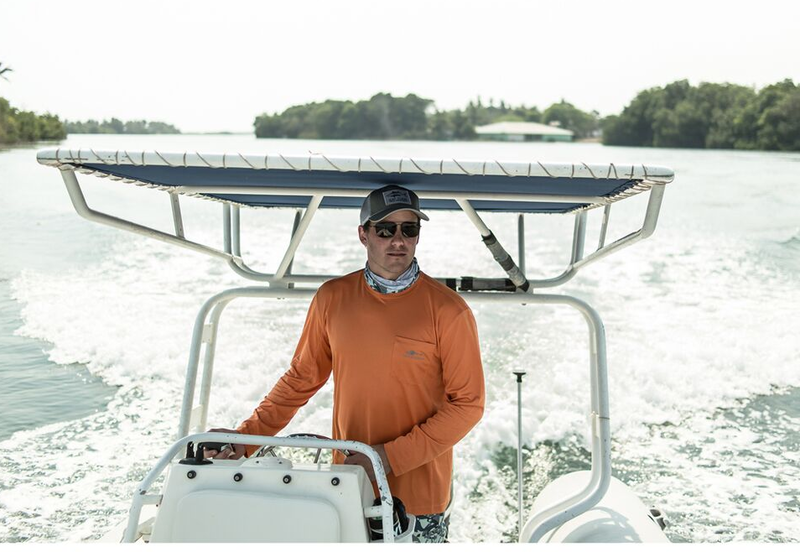 Apparel that offers UPF protection will keep your mind on the water and protect you from the sun’s damaging rays. Long sleeve fishing shirts with UPF are designed to be lightweight and cooling making them easy to wear all summer long. Protect your face with a neck gaiter that you can pull up to cover your lower face and neck. You should still apply sunscreen to areas that are uncovered, especially ones you’d normally neglect like your hands, neck, ears, and feet. Fishing apparel is created to withstand blood and guts without staining. Look for garments that feature stain-resistance, and shop brands that are known for their lasting quality. Major fishing apparel brands are dedicated to providing gear that can withstand the elements and the washing machine for years. On the ocean it’s usually 10-20 degrees colder than it is inland and fishing specific apparel is optimal for its layer-ability. Being able to add or shed clothing throughout the day will keep you on the water longer. Stay away from cotton, as it tends to stick to skin and prevent cooling. Grundéns knows the ins and outs of fishing, and they’ve been outfitting fishermen for over a century. They’ll help you stand up to the forces of nature wherever you choose to fish. 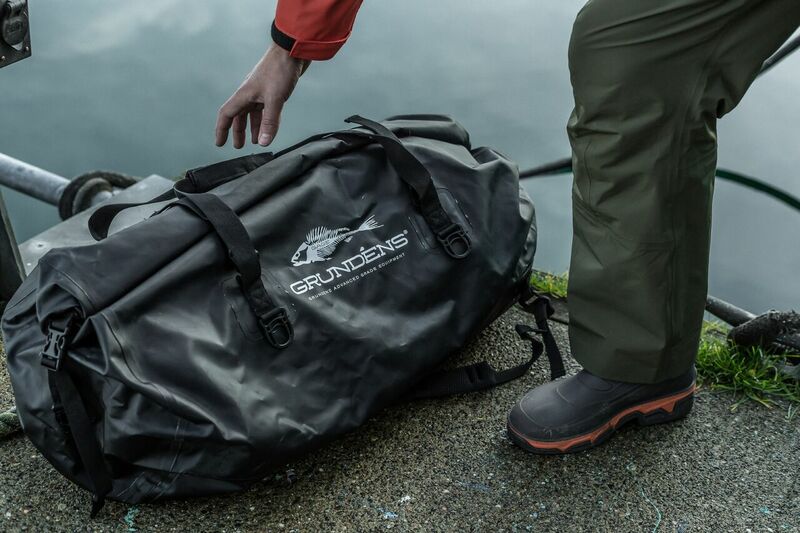 Their garments are designed to keep you dry and comfortable on the water, from shoes to the perfect waterproof duffel bag you’ll find what you need at Grundéns. No one wants to fish all day when they’re fighting the elements unprepared. The more comfortable you are, the more you can concentrate on hooking your prize. The importance of layering cannot be overstated; it is the key to enjoying the great outdoors for hours on end. The ability to add and remove layers keep you comfortable and even if it’s gorgeous when you leave, bringing your extra layers will keep you prepared should the weather turn. Pack your extra items in a waterproof duffel bag so, your extra gear stays clean and dry. Your base layer will trap body heat during cold weather and wick sweat away to cool you during warm summer days. You’ll want to look for quick-drying fabrics, which pull moisture away from the body to prevent overheating. Soft fabric that stretches with your body easily is also important. Some fisherman prefer utilizing long sleeve fishing shirts as their base area as when other layers are removed you’ll be left with SPF protection from the sun. The one thing to remember is no cotton in your base layer. This layer should be looser in fit than your base layer but far from baggy. Designed to carry moisture away from your base layer, your mid-layer options come in a variety of weights that will give you the coverage you want. Whether you choose a midweight puffy jacket or a polyester fleece hoody, this layer should also possess moisture wicking capabilities that keep you cool and dry. If you are in an area that is prone to wind, choose an option with wind-resistance built-in. When choosing fishing bibs, you’ll obviously want waterproof fabric with fully taped seams. Choosing features that make adjusting sizing to suit various layers easy, and that makes removal a simple process without removing your footwear will make your life on the water easier. Beyond that, bibs come with as many features as the people who wear them. Considering how you’ll use them and your personal preference will help you choose the best-suited bibs. This shell layer provides the ultimate protection from the elements. This layer should be totally waterproof with fully taped seams, especially if you fish the ocean as you’ll want protection from spray. Look for features that keep you dry, like breathable material and hook and loop cinch cuff closures or neoprene cuffs. Grundéns provides the highest quality fishing gear to commercial fishermen and anglers worldwide. They have a passion for fishing, and it shows. Their clothing will keep you fully outfitted for any fishing adventure. Designed to keep your focus on the fish, their fishing shirts, bibs, jackets, and other gear will keep you on the water longer. If you have been fishing for a long time, you probably know already how wonderful the experience can be. If you are less experienced but still interested, it might surprise you how much joy and peace of mind a reel, a rod, some good clothes, a waterproof duffel bag and some bait can provide. In some ways, fishing is much more than a sport or a pastime. It is a state of mind. It can help put us in touch with the things that truly make life worth living. Why Do People Love Fishing So Much? Sometimes, you just need to get away. The 9-to-5 grind, the bills to pay, the meetings, the deadlines—all of that can fade into the background as you cast your line out. The calm and solitude of fishing gives a person space to stop and reflect on their life. As the hustle and bustle of everyday life quiets down, you can start to put things in perspective. You can reflect on your life and the direction it seems to be going. At the very least, fishing can let you focus on just one thing for a little while. That in itself can help clear the mind and help someone plunge back into work with renewed energy. Of course, fishing is not always a solitary pastime. It can be a great way to spend some quality time with your family and your friends. High-quality, long-sleeve fishing shirts help anglers stay warm in cool weather and cool in warm weather. They allow people to move easily, stay dry and avoid sunburns. Some of them are even made from special fabric that keeps a body cool by using its own sweat. Good fishing pants or shorts are smart investments too. The best pants and shorts are durable but lightweight and flexible at the same time. They also keep water out but prevent sweat from building up too. Anglers should also take proper care of their gear too. Rugged, waterproof duffel bags and backpacks let people protect their stuff and stay mobile. Grundéns provides passionate anglers with the garments and gear listed above and more. The company is proud to help both professional and recreational fishermen stay dry and safe as they do what they love. 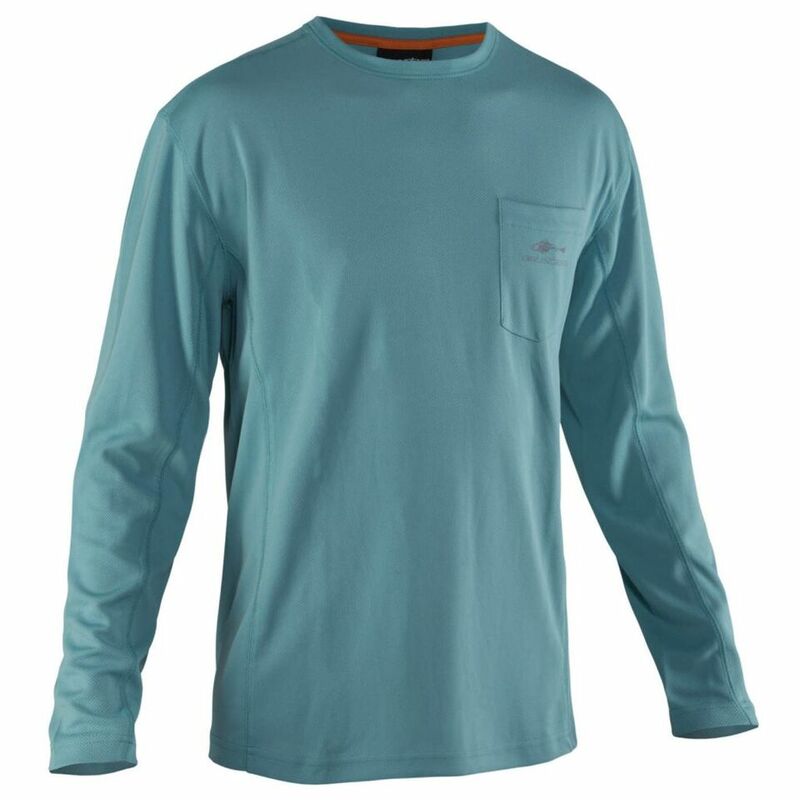 Grundéns offers long sleeve fishing shirts and other performance apparel that provide durability, flexibility, comfort and protection from moisture and UV rays. Anglers and professional fishermen rely on the company’s products day in and day out. Grundéns’ long sleeve shirts are designed to help fishermen perform at their best without worrying about prolonged exposure to the sun and temperature extremes. Fast-drying, lightweight fabrics deliver 4-way stretch and high-UPF sun protection. Select styles also have articulated armpit designs to reduce friction while anglers are casting and fighting fish. The best fishing shirts, fishing bibs and other apparel can help people get the most from their fishing experiences. 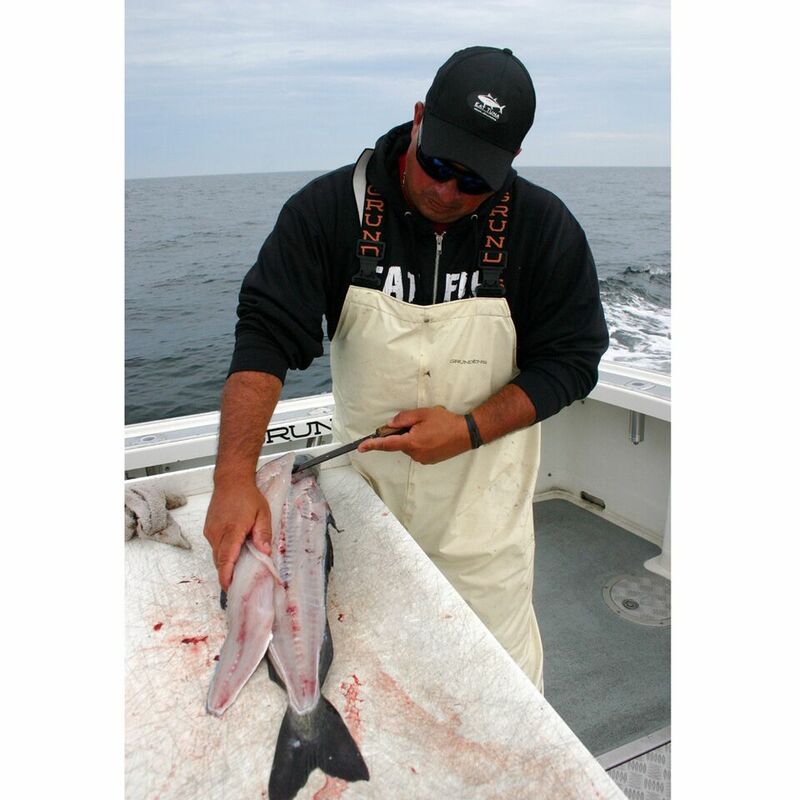 When commercial fishermen and average anglers are looking for long sleeve fishing shirts and other fishing garments, they need to pay attention to the fabric that shirts, bibs and pants are made from. For example, clothes made from cotton might seem appealing at first glance. After all, cotton is consistently soft and comfortable. However, that can change pretty quickly once someone wears it on a fishing trip. Once it gets wet, cotton can take a long time to dry. That can be a problem when somebody plans to spend a lot of time around water. Also, cotton shirts and pants will probably not hold up well after getting drenched on multiple trips. For one thing, they have a tendency to shrink after being washed and can get stretched out easily. On top of that, their colors tend to fade as well. Cotton might be fine for undershirts, but serious fishermen will probably want something more durable and waterproof for their outerwear. Polyester is more resistant to stretching and can dry quicker than cotton does. At the same time, it feels pretty comfortable while someone wears it. Unfortunately, fishing bibs and other clothes made from polyester can be prone to static cling. This might get a little annoying when someone is moving around the deck of a boat. Still, polyester shirts allow people to move easily and keep dry, which offsets this slight drawback. Performance apparel made from nylon gives anglers a variety of advantages. Not only is nylon highly durable, it is also lightweight and flexible. Although it tends not to be as comfortable as cotton or polyester, good manufacturers can work around this shortcoming by weaving nylon with fabric like oxford cloth to make it softer. Nylon can also get a little warmer than other fabrics. This is not really a problem when fishing in colder temperatures, but it could be a bit more of an issue when the weather gets warm. However, the best manufacturers can add features like hidden cooling vents and waterproof, breathable barriers that allow sweat and body moisture to travel out but keep water from coming in. Grundéns provides anglers with performance apparel that combines reliable comfort with outstanding functionality. The company also offers gear like a waterproof duffel bag through its online store. Grundéns provides commercial fishermen and anglers worldwide with top-quality fishing clothes, fishing gear and onshore workwear. The company’s fishing bibs and other performance apparel let customers move easily while staying dry and comfortable. Why Use Fishing Shirts and Other Performance Apparel? To average laymen and beginning fishers, fishing shirts and other performance apparel might not seem like a necessary investment. However, spending any amount of time in a stream or on the ocean will make clear how vital this clothing can be. For people around the world, fishing is more than just a pastime. It is a passion handed down from generation to generation. For people who work in the fishing industry, it goes even further—it is literally their way of life. Serious fishermen will recognize the importance of having good gear and clothing. Spending hours out on the water day after day, month after month and year after year can be hard on a person’s body. Here are some of the benefits of having high-quality fishing shirts and other apparel. To stay safe, anglers need to keep their faces, arms and necks covered. Well-designed long sleeve fishing shirts can shield their arms from the sun without getting soaked with sweat. High-quality fishing have high UPF sun ratings. Some of them even have features like mesh-lined vents in the shoulder blades to help keep wearers cool. It may be completely redundant to point this out, but people who fish should expect to get wet. If you manage to land a great catch, you may well get splashed lifting it out of the water. Just being in a boat will get water on your clothes and skin. A few hours of that can get pretty unpleasant when a person has the wrong clothes on. A good fishing shirt and bib pant can help someone stay dry, warm and clean while they are fishing. Fishermen can find clothing that is water-resistant and dries quickly. Last but not least, fishermen need to wear clothes that lets them move easily. They can find pants and shirts that give them both durability and flexibility. Grundéns is proud to provide anglers and commercial fishermen with performance apparel that gives them all of the above. Customers can also find luggage like a waterproof duffel bag at the company’s online store. Grundéns offers a diverse assortment of high-quality fishing clothes, fishing gear and onshore workwear to sport and commercial fishermen. The company’s long sleeve fishing shirts and other performance apparel are designed to give anglers comfort, protection from the elements and unlimited range of motion. 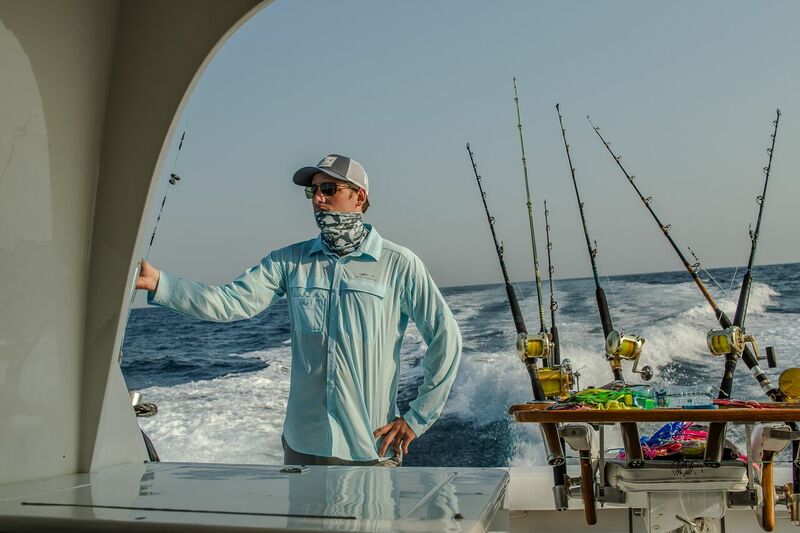 Grundéns’ high-quality fishing bibs deliver both reliable protection and impressive comfort. Their waterproof, breathable barriers, Durable Water Repellant and other features keep you warm and dry without causing overheating or sweating.